Over its long history, the Chicago Swordplay Guild has acquired an extensive pictorial history of photos and videos, chronicling our evolution. The following pages will give you a look into some of the best from our archives, including photos, instructional video, and sparring video. Most images posted prior to April 2010 can be found on the Guild’s Flickr account. In addition, the Guild maintains an extensive gallery of video playlists on its YouTube page. 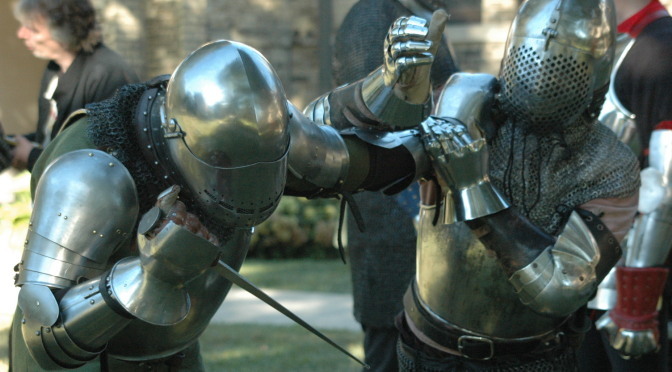 Note: All images and video contained in the CSG Gallery are the property of the Chicago Swordplay Guild. While visitors may download items for personal use, they may not be used for reproduction or commercial purposes without express permission of the Chicago Swordplay Guild.